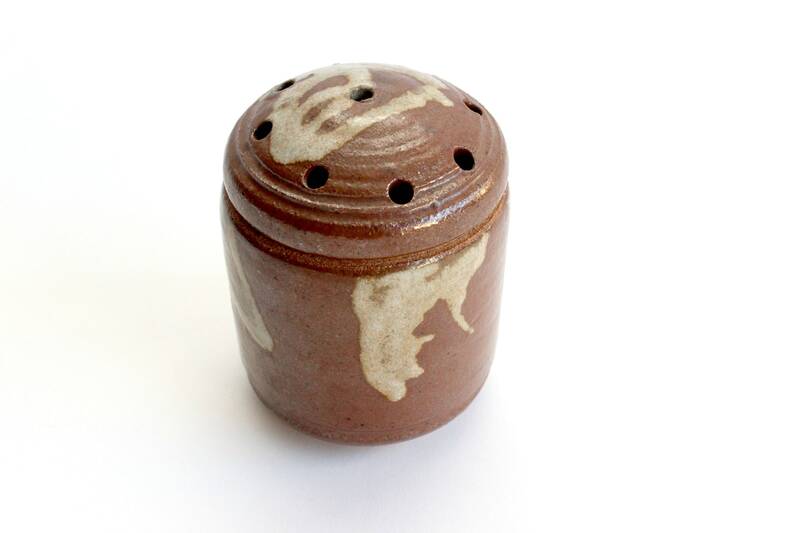 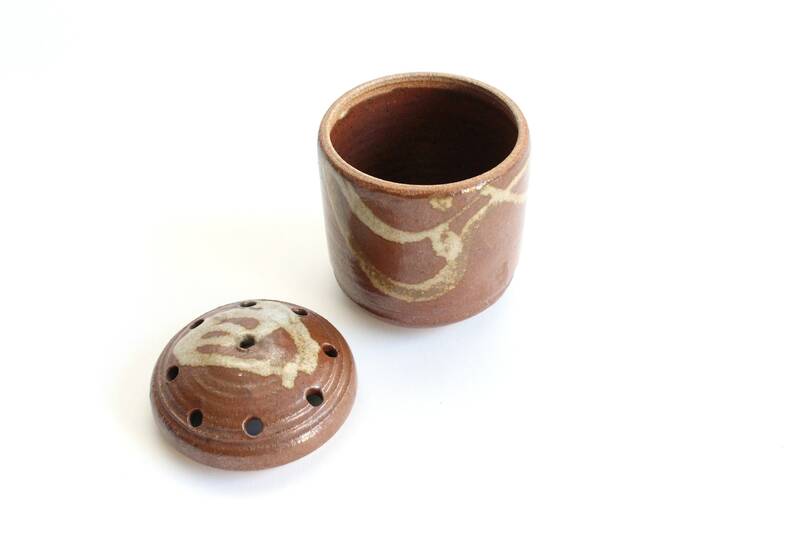 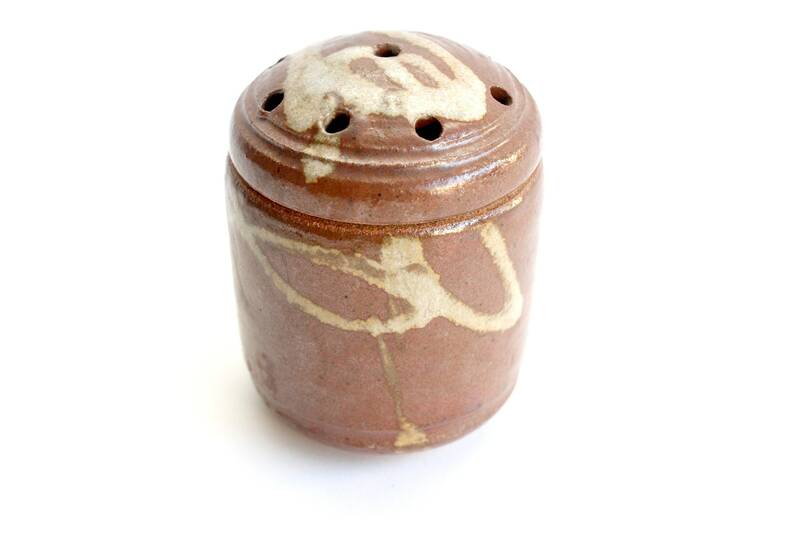 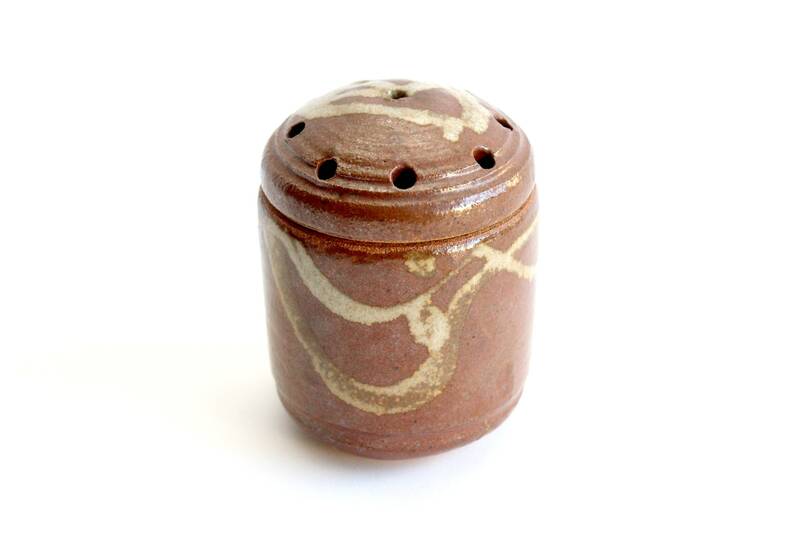 Hand thrown clay garlic jar with lid. 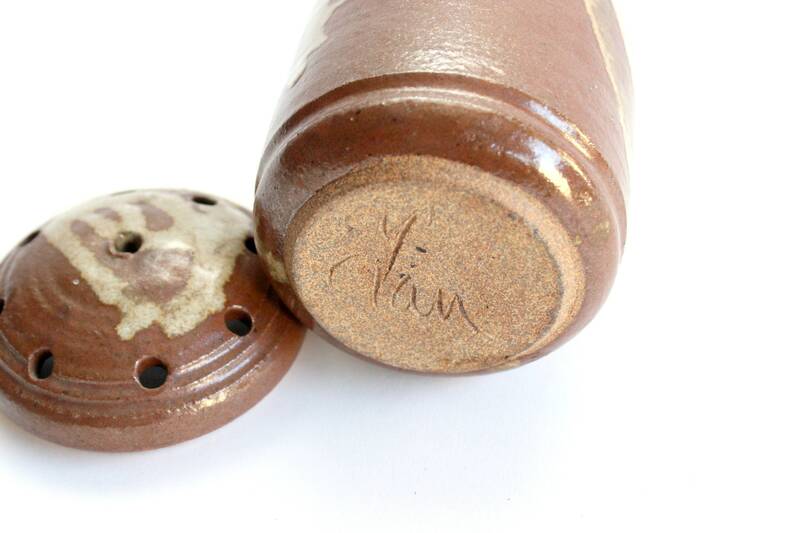 Ceramic garlic keeper with holes in the lid to keep garlic fresh. 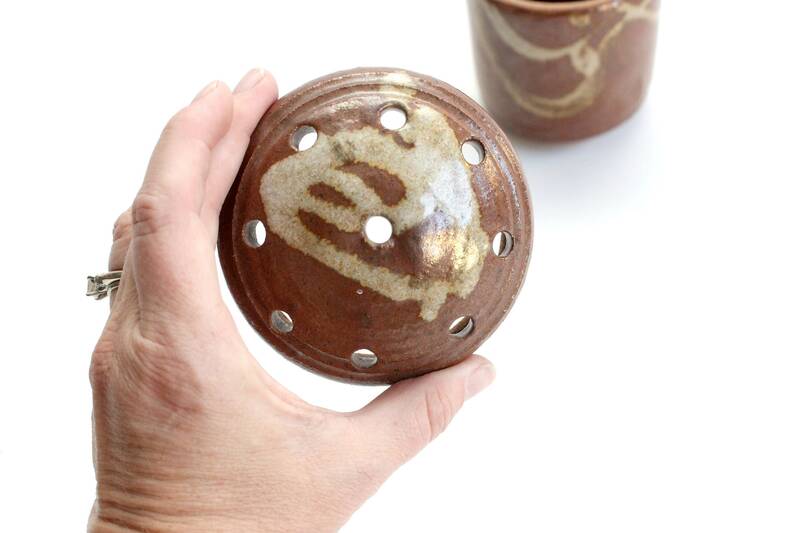 Brown glaze with a lighter colored random pattern running through. 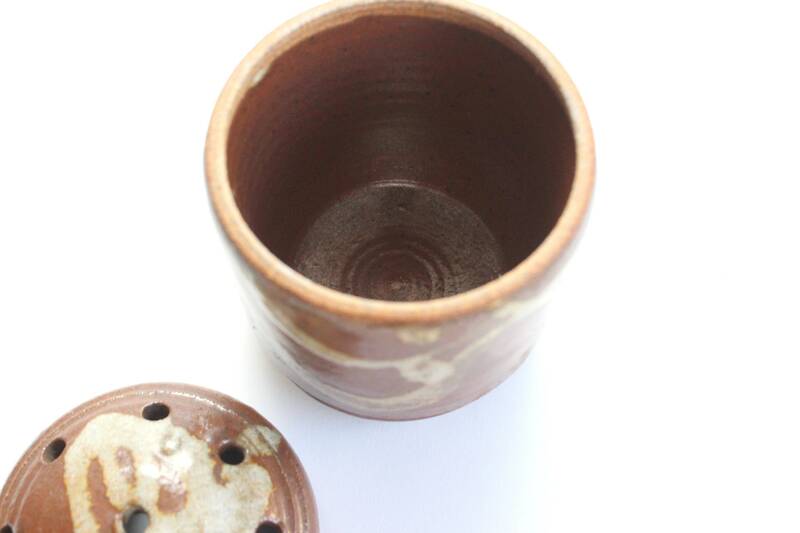 Artist name on bottom. 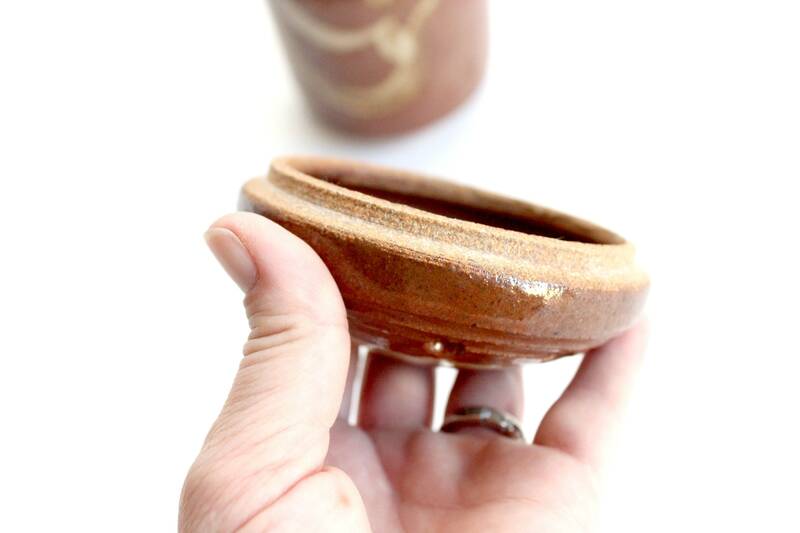 Measures 3.5 inches wide and 4.75 inches tall.